(Australian Company Number ABN 64 003 908 281) is committed to protecting and respecting your privacy. 1.1 In order to provide a better service to you, we may collect and process the following data about you: a) information that you provide by filling in forms on our site http://e5workflow.com/ ( “our site”). This includes information provided at the time of registering to use our site, subscribing to our service, posting material or requesting further services. We may also ask you for information at other times, for example in connection with a promotion or when you report a problem with our site; b) details of your visits to our site and the resources that you access. h) researching, designing and launching services or products including seminars/events/forums; i) Marketing Purposes; or j) purposes directly related or incidental to the above. b) the following classes of services, products and subjects may be marketed to you: i. services and products related to our site and/or our affiliates (including marketing affiliates programs we are a part of); ii. reward, loyalty or privileges programmes, promotional offers and related services; and iii. invitations to events such as seminars/webinars/tele-seminars, conferences, live programs or events. c) We may conduct direct marketing via email, direct mail, telephone and other means of communication or send e-newsletters to you. You may choose not to receive promotional materials, by simply telling us (see below for contact details), and we will cease to do so, without charge. e) actual or proposed transferees or participants of our services in or outside Australia. 4.2 A cookie is a small file of letters and numbers that we store on your browser or the hard drive of your computer. Cookies contain information that is transferred to your computer’s hard drive. a) Analytical/performance cookies. They allow us to recognise and count the number of visitors and to see how visitors move around our website when they are using it. This helps us to improve the way our website works, for example, by ensuring that users are finding what they are looking for easily. 4.7 You can prevent Google’s collection and processing of data by using the Google Ads Settings page or downloading and installing their browser plug-in (https://tools.google.com/dlpage/gaoptout). 4.8 You block cookies by activating the setting on your browser that allows you to refuse the setting of all or some cookies. However, if you use your browser settings to block all cookies (including essential cookies) you may not be able to access all or parts of our site. 5.2 Unfortunately, the transmission of information via the internet is not completely secure. Although we will do our best to protect your personal data, we cannot guarantee the security of your data transmitted to our site; any transmission is at your own risk. Once we have received your information, we will use strict procedures and security features to try to prevent unauthorised access. 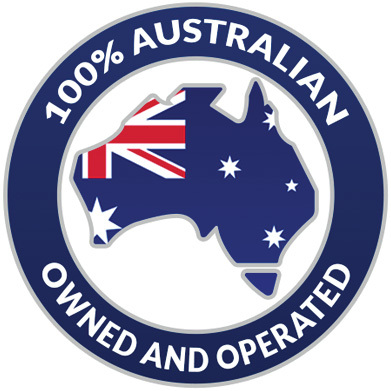 We may hold your data on servers in Australia and any other territories as we see fit from time to time. We may also transfer your data to our overseas offices or to any people listed at Clause 3 above, who may be located in or outside of Australia, including USA. d) to withdraw your consent to the use of your personal data for marketing purposes and we shall not use your personal data for marketing purposes after you communicate your withdrawal of consent to us.